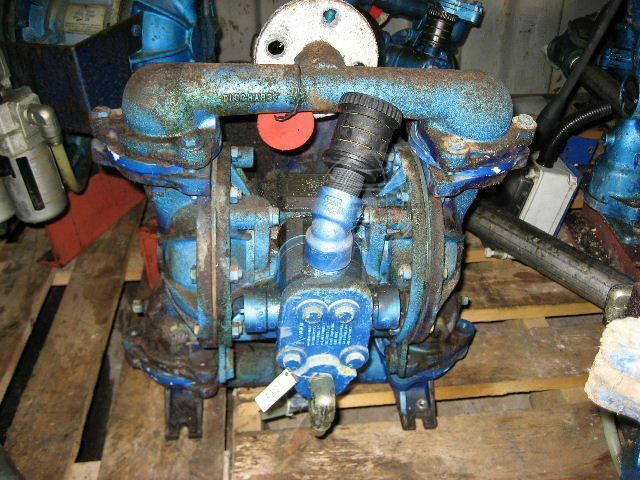 Used 204 L/per min Air Operated Double Diaphragm Pump, manufactured by Sandpiper, Model EB1-M, Type TGN-3-1F. Material of construction: pump material cast iron, diaphragm material BUNA. Pipe Size: 1 inch (25mm).